Yesterday, we shot pick-ups for a couple of short segments where we still needed footage. 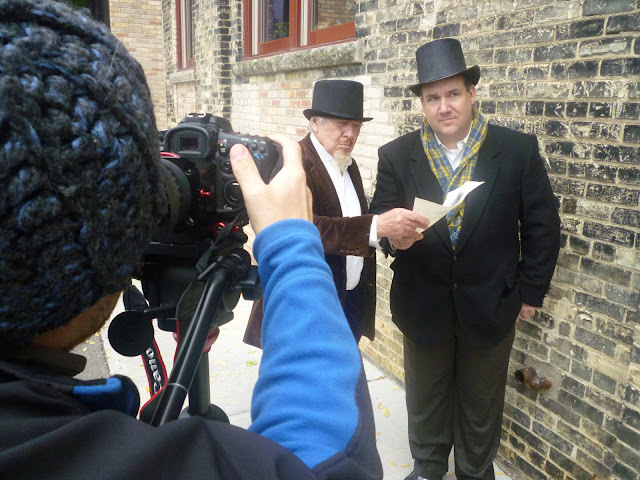 The first was a street sequence of Strindberg (played by Colin Cameron) with another 1910 gentleman (Brad Goldworthy). 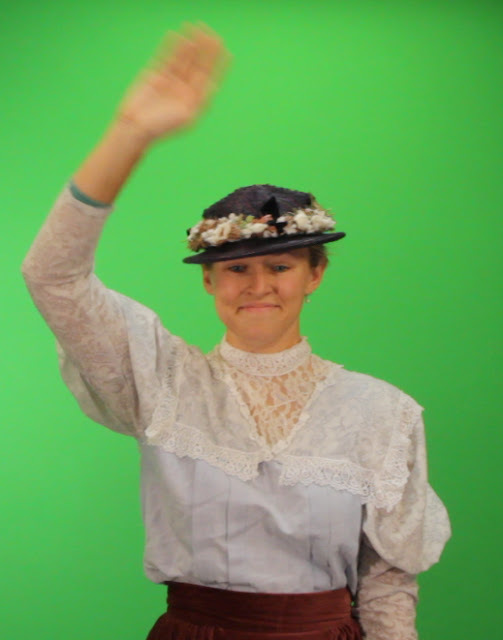 Next was a shot of our housemaid, Katina (Georgia Curry), waving goodbye from the deck of a "green screen" ocean liner.